BRTC job circular 2019 with Govt application form download now. 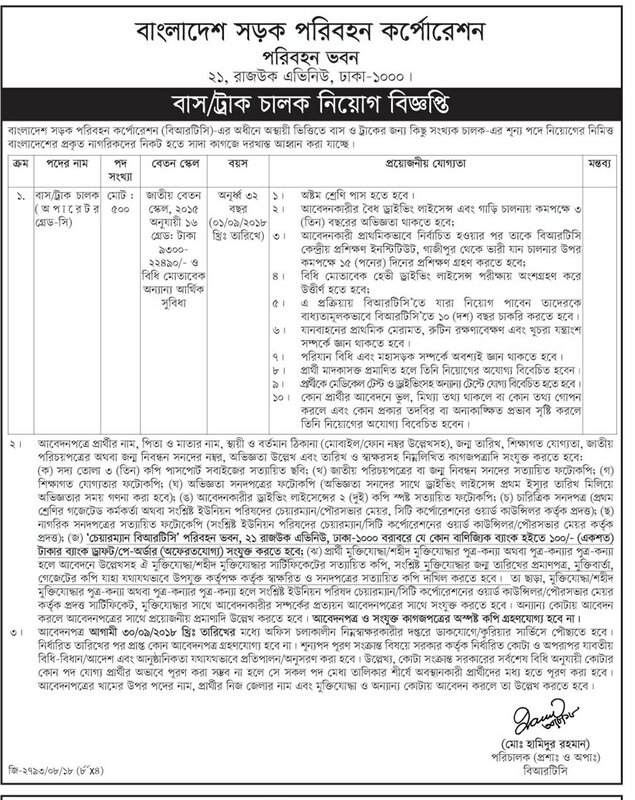 Today Bangladesh road transport authority announces a New Job notice for bd jobs Seeker. You know that BRTC is a Government Sector of Bangladesh. Now Mr. Farid Ahmed Bhuiyan (Additional Secretary), Chairman Of BRTC. This BRTA office offered some educated, Skilled and Energic Student for the Following vacancy. 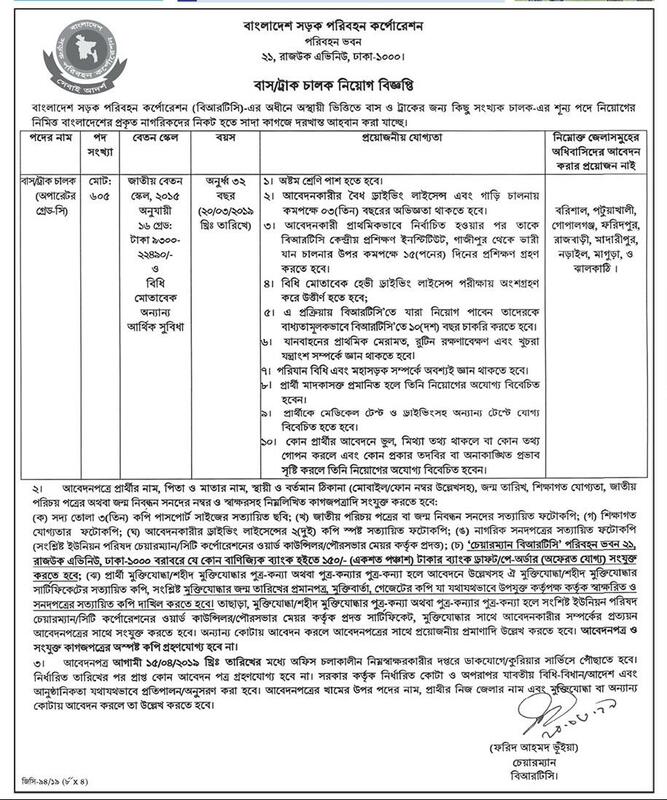 Post Details: See Bangladesh road transport authority job circular. How To Apply for BRTC Govt Job circular?